Known for her work with Beyoncé, Jay Z and Demi Lovato; Saxophonist, Adison Evans draws on her influences, travels and life experience HEROes that have influenced her both musically and personally for a deeply personal offering, that encompasses a love for jazz, R&B and positive affirmation. Adison Evans is a dynamic millennial who has shared the stage with several legendary artists including: Trisha Yearwood, Nicki Minaj, Wynton Marsalis, Christian McBride, Terence Blanchard, and many more. Evans made her debut in the pop world playing in the 2013 Superbowl with Beyoncé. Upon graduating from the Juilliard School, Evans embarked on a two-and-a-half-year adventure thus far playing and touring with Beyoncé in the “Mrs. Carter Show World Tour,” followed by Beyoncé and JayZ in the history making “On The Run” Tour. Evans can also be heard on the album that crashed iTunes, Beyoncé, and has been seen in many of her music videos including “Countdown,” the HBO Beyoncé specials, and Beyoncé DVDs. Evans is proud to release her debut album, “Hero”, a tribute to those who have shaped her into the young woman and artist today. 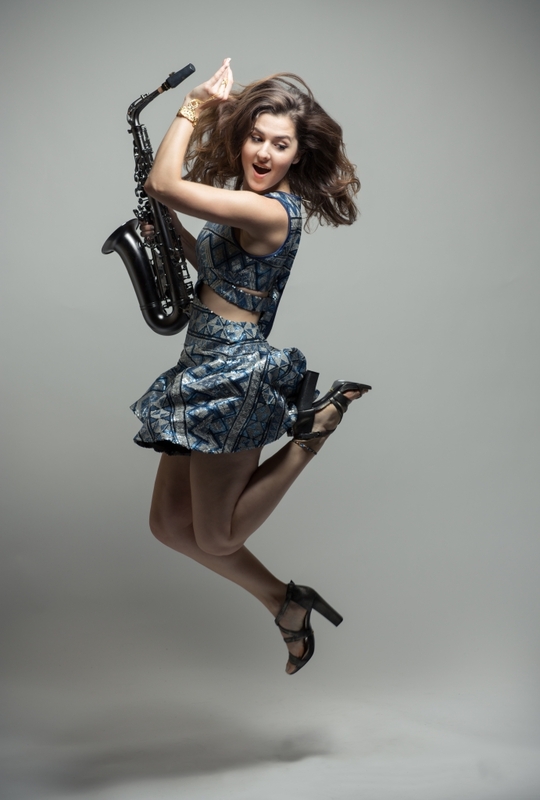 She combines pure excitement with a soulful saxophone sound and a contagious smile to create one compelling performance after another.